Understanding these terms is helpful when used with our Vacuumology article. They are presented in alphabetical order, except for a couple of very important ones at the beginning. VACUUM (Water Lift) Inches of water lift. (Usually given at 0″ air opening). A vacuum’s ability to lift is a valid measurement. In fact, it is called vacuum, or waterlift. See how strong a vacuum can be created by slowing swallowing the air out of a plastic soda bottle. That is actually about all it takes to lift a bowling ball! But it takes more to vacuum a carpet. CFM (Air Flow) Cubic Feet (of air) per Minute. (Usually give at 2″ air opening). Wonder why that pebble won’t vacuum up but stays rattling in the end of your vacuum wand? Basically, without sufficient air moving around it, it’s going no where. Even a feather won’t budge without any air moving past it. Therefore, CFM (air flow) is so important for deep carpet cleaning. Some vacuums may be able to lift bowling balls, but the cleanest homes have central vacuums with tons of CFM. CFM becomes more important as the air opening size gets larger. * Vacuum must be corrected before being put into equation. To correct, temperature and barometric pressure must be accounted for. AIR PRESSURE – The air around us constantly exerts a pressure of about 400 inches of water. That means that every exposed surface has the equivalent of 400 inches of water pushing on the surface. A vacuum cleaner doesn’t actually create a vacuum, but it does lower air pressure inside the vacuum unit. Since the outside air is at normal pressure it rushes inward in a controlled airflow which creates the cleaning effect. Note: Both the CFM and the Water-lift must be measured at the same air opening size. AMPS – Current draw of the motor. Amperage current draw of electricity required to operate the vacuum motor. A motor that uses more electrical current does not always mean the current is being used more efficiently. ARMATURE – The center part of the motor which rotates making the transfer of electricity across the motor, enabling the motor shaft to spin. A quality armature is mounted on ball bearings, and protected from incoming vacuum air that has been heated and dirtied. BYPASS COOLING – A separate stream of air that cools the motor, different from the air that draws in dirt from the home. Air being vacuumed does not actually flow through the electrical components of the motor. Normally these motors have a separate fan to provide cooling air to the motor. CYCLONIC ACTION – Cyclonic action describes the natural action found in a tornado. In a vacuum with cyclonic filtration, the air carrying the dust and debris moves through a tornado action. The air swirls downward in a cone-shaped pattern. At the bottom of the cone, it starts swirling upward again, inside the downward cone. Thus this is sometimes called a “reverse” tornado action or “dual cyclonic action”. The vast majority of the debris separates from the air stream as air reaches the bottom of the swirl, and is deposited in the dirt container. A fraction of the debris remains in the air, to be removed by the secondary filter, if any secondary filters exist. FAN (and fan stages) – The fan is the combination of blades that spin around to create the airflow to produce the vacuuming action. Fans are flat impellors, and are combined in a set of two or three fans on each motor, depending on the model. A motor with two fans is called “two-stage”; if it has three fans its “three-stage”. Each fan – set of blades – increases the sealed vacuum, or maximum air pressure drawn through the system. Additional sets of fans will change the air flow dynamics, adding fans will increase water-lift and decrease CFM. Air driven power brushes work better with a motor with more fan stages, whereas electric brushes operate better with less fan stages. HEPA – HEPA stands for High Efficiency Particle Arrestor, used to reduce the number of contaminants in indoor air. A HEPA filter will arrest or stop 99.97% of all particles .3 microns or larger. HEPA filters – used in “clean rooms” – are essential in medicine and in the manufacture of computer components. However, they have limitations in vacuums. They tend to leak in vacuums, because they were never intended to be used as small, portable filters. They are expensive and must be discarded because they cannot be cleaned. They clog quickly and strangle airflow. And even when working perfectly, up to half the respirable particles in indoor air are small enough to go right through a HEPA filter. 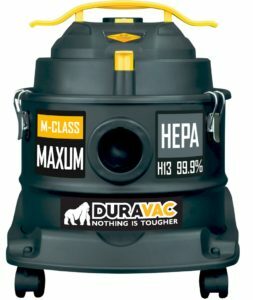 Very, very few vacuums are truly “HEPA” certified but many only use filter material which is “HEPA” level. M.D. offers bags for their systems that meet these filter material specifications. MAXIMUM AIR WATTS – This is recognized by the American Society of Testing and Materials (ASTM) as the best way to measure the actual cleaning power of a vacuum system. Most manufactures provide statistics for the maximum air watts that may not be the actual amount produced under the conditions most often used. Make sure you know the opening size of the attachment most often used and then find the vacuum’s air watts at that exact opening size. 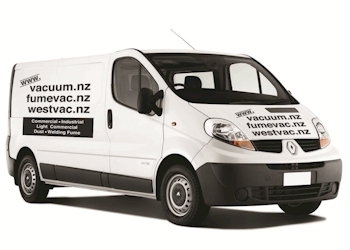 Read our vacuumology article. MOTOR SPEED – Measured in revolutions per minute (RPM). Higher RPM motors may not last as long. ORIFICE (Air Opening) – Simulation of restrictions (impedance) in a cleaner system. OPERATING ORIFICE – Restriction typical of operating conditions. PAPER BAG – A collection device for dust and debris used by some vacuum cleaner manufacturers. Paper bags are a definitely the cleaner home owner’s choice. POWER NOZZLE – These are designed to loosen stubborn dirt in carpets, and make it available for removal by the air flow. M.D. power nozzles are optimally designed to remove both common kinds of carpet dirt; our dual soft bristles gently free debris that naturally sticks to carpet surfaces; threads, lint, pet hairs, etc. And our beater brush agitates and vibrates carpet, to loosen the sand-like grit down between carpet fibers. PVC (Poly Vinyl Chloride) – A common plastic polymer that provides excellent appearance and longevity with good flame retardance at an affordable price. All of M.D. Manufacturing central vacuum fittings – renowned for their quality in the vacuum industry – are made from PVC. SEALED BEARINGS – Often used in high quality motors to prevent dust and debris from entering the motor bearing area. All M.D. motors have sealed bearings. SEALED VACUUM GAUGE – Is a device to measure maximum vacuum or water lift by sealing off the vacuum intake port. It measures in “Inches of Water-lift”. This is not for picking up water but a means of comparing lifting abilities of a solid column of water. SOFT START – The electronic means of slowly starting vacuum motors to reduce initial in-rush voltage spikes. It starts the motor at a slower voltage, slowly ramping up to operation voltage. No tests by Ametek or any other agency have ever produced any quantifiable measurement of this extending any motor’s life. It does however; allow the manufacturer to utilize a smaller capacity of relay which is less expensive. STANDARD CONDITIONS – 120 volts, 60 Hz., corrected to standard conditions of 29.92 barometric pressure and 68º F.
STAGES – See Fan Stages. THRU-FLOW MOTOR – In some less-expensive motors, the air drawn from the home flows right through the motor to cool it. Unfortunately this air is laden with the dust from the home which dirties and contaminates the motor. This air is also warmed by friction as it moves through hoses and piping, and is substantially warmer so it is less able to cool the motor. Thru-flow motors will overheat if they are run for long periods of time without adequate air flowing through the system. VOLTAGE (Volts) – A measure of the electrical potential employed by a vacuum motor. Typically, motors require common household current; 110-120 volts in North America; 240 volts in other parts of the world. Voltage is to electricity as pressure is to water, a measure of potential or driving force. WATTS – Electrical power consumption of the motor.